Cooper and Robert Stapleton, at Southwest Sound. Katzin Music store owners from left, Jim Gillaspy, Ruth Katzin, Scott Duncan, Cathie Duncan and employee Stella Dickson hide their sadness on March 20 behind smiles after the announcement that the store is closing located in the Crossroads Durango plaza. To some, 2018 feels like – to paraphrase the refrain from Don McLean’s 1971 classic “American Pie” – the year the music died. Soon after the March news that Katzin Music was closing its doors after nearly 40 years of serving local musicians, most notably youth just learning to play, word that Southwest Sound may follow suit seems like unnecessarily cruel news. We should add that Southwest Sound is very much open for business and seeking a buyer; its demise as a popular retail stalwart in downtown Durango is not guaranteed. But learning that a buyer has not stepped forward and its closing may be imminent has left music fans already mourning its passing into audio history. What makes the news so unsettling is that both businesses, by their longevity and dedication to their patrons, have put the indelible faces of friends on the “buy local” motto. Ruth Katzin and her family have been a part of the Durango business community for so long that many of us, to our present regret, seemed to have taken them and their iconic store for granted. With Katzin Music, there would always be a place where our children could explore the world of music, and find a friendly, talented teacher to help them along the way. The further implication of Katzin’s closing, the evidence that the loss of a local business creates ripples that radiate into the community, was personified in Katzin’s extended family, the 30 music instructors who provided private lessons to around 300 students of all ages and talent levels. They relied on the store for a significant part of their income and their local identities. More of us should realize how the closing and locking of a single door can affect so many local lives. Southwest Sound opened in 1977, and Robert Stapleton bought the store in 2002. He and his crew have become trusted and well-respected parts of our local community. Like Katzin, Southwest Sound is an iconic local business. If it closes, its loss will mean more than just an empty storefront on Main Avenue to so many of us who grew up visiting the local music store as part of our weekly rounds. 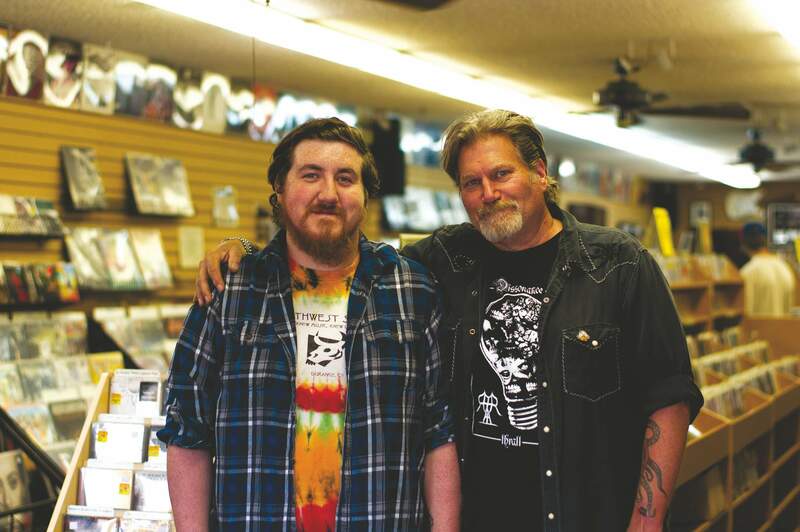 Even now, Southwest Sound is the place for music aficionados to gather and discuss the music scene both local and at large. We recognize the attractions internet shopping can provide, such as the convenience of streaming music services, and the fact that larger retail businesses have always evolved – often to the detriment of the “mom-and-pop” local models – to stay relevant and profitable. Is the loss of Southwest Sound inevitably a part of that evolution? The “bad news on the doorstep” has not arrived without a hopeful note, however. 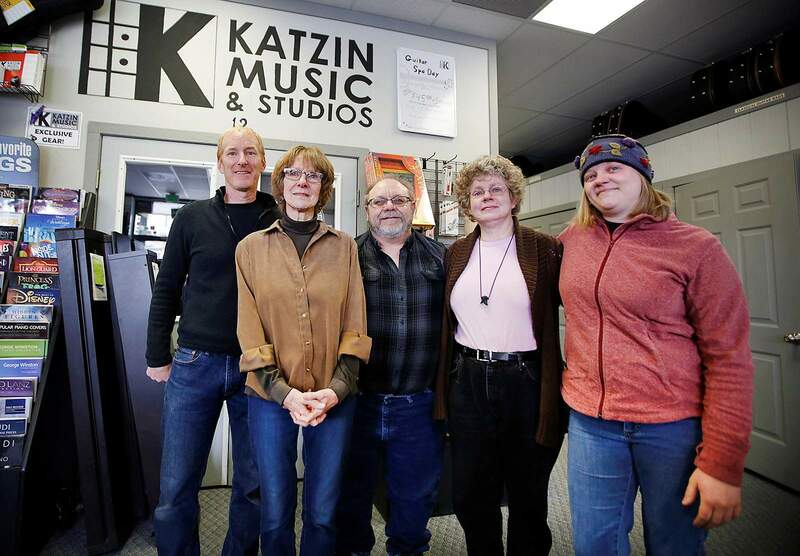 Katzin’s neighbor Stillwater Music has taken on the private lesson program, and its instructors will retain the historic connection in the name Katzin Studios at Stillwater Music. We hope the new venture thrives. A chance to celebrate what this means to our local music scene – and the musicians in our families and in our neighborhoods – arrives on May 19 with Stillwater’s 8th annual Party in the Park. Don’t miss this chance to gather in Buckley Park to enjoy the realization that local music lives on.